The good news is red wine can cure cancer. The bad news is you’d need to drink 100 glasses a day. The Australian biologist said an international study, published Friday in the journal Science, had settled a controversy over whether resveratrol, a natural compound found in red wine, can fight cancer, Alzheimer’s and type 2 diabetes. 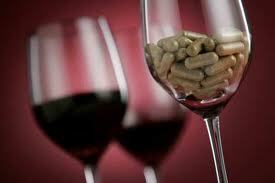 Ten years ago scientists found resveratrol could activate a “sirtuin” protein known to combat age-related diseases. But the claim was disputed because the reaction could only be observed when a fluorescent chemical known as fluorophore was present.